Many CEO’s monitor IT spending by taking a look at a calculation called the IT Expense as a Percentage of Revenue. A good CEO knows about what his IT organization should spend, , , he may even have an industry average he uses to compare your spending with the rest of the industry. Using this calculation is a good thing if used in the right context, , , but you need to be careful. Let’s say your industry average is 2.5%. In other words, an average company in your industry spends 2.5% of revenue on IT. If your company has $500 million in annual revenue, that means your IT organization spends about $12.5 million a year if you are at the “industry average”. What if you are spending $17.5 million (3.5% of revenue), , , or maybe 5% of revenue, twice the industry average? 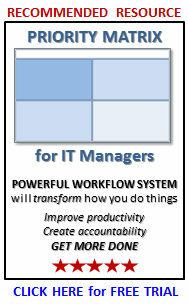 Does this mean you are doing a poor job in managing your IT organization? No, , , definitely not. It certainly could mean you are doing a poor job, but the IT spending percentage of revenue alone does not tell the whole story. 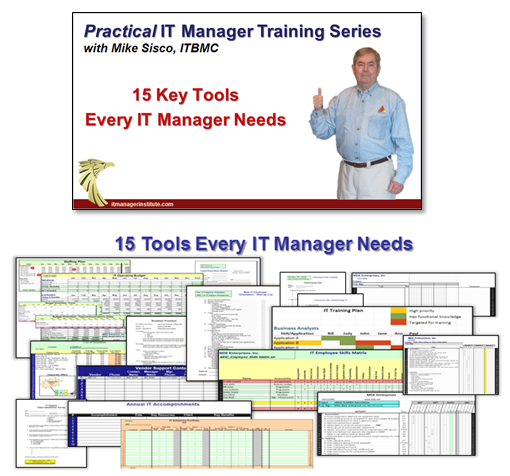 Take a look at this example I use in my IT Manager Institute class. In this example we have two companies with about the same revenue and the same number of clients, , , but that’s where the similarities end. EBITDA (earnings before interest, taxes, depreciation and amortization) is quite different. Some call this operating income. Company A is much more profitable than Company B. Why is that? Well, there could be many reasons, but two reasons show up on the slide. First, Company A is much more automated. Automation tends to indicate the company is much more productive and has fewer clerical functions and processes less paper, , , which reduces cost. The second reason is because Company B is spending a lot more in IT. In fact, they are spending over twice as much money in IT than Company A spends. The slide tells you the reason. Company B has many more technology platforms and multiple data centers. The background you don’t see that’s provided in the class is that Company A grew by simply adding new business. Company B grew by acquisition and has not consolidated the technologies. Both companies are the same revenue size but have very different situations. Take a look at the graphic below again and answer the question before moving on. Which company is doing the best job, , , Company A who is spending 2.5% of revenue for IT (let’s also say this is the industry average), , , or Company B who is spending 5.8% of revenue for IT (over twice the industry average)? In every class, most will say that the CIO in Company A is doing a better job. This is the answer I get almost every time. 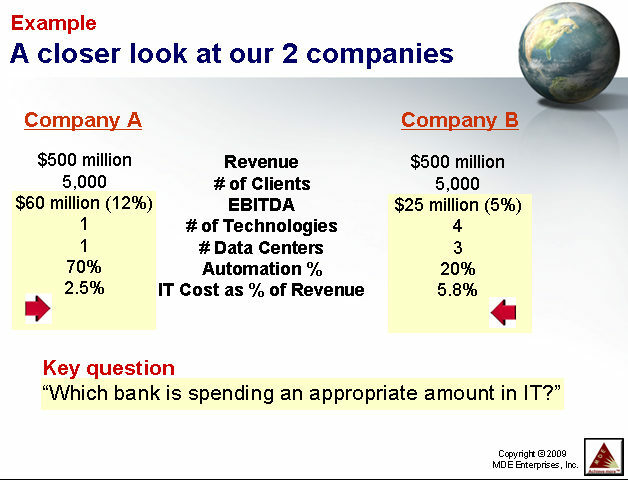 Certainly Company B is spending a lot more money than Company A, , , but even on the slide with very little information I can see that this IT manager has more to deal with. Once you conduct an IT assessment on both companies, you might determine that Company B should be spending 7% of revenue to attack the issues it has. Company B’s CIO might actually be doing a much better job than Company A’s CIO, even though he is spending over twice the money for the same size business. The message here is that you have to be careful with industry averages. They tell you what the average is for all companies in the industry, , , but your company’s situation determines at what level you should be performing. You have to understand the variables that exist before coming to any meaningful conclusion. Company B will need to spend more in IT than Company A for some amount of time until more of the opportunities are achieved and Company B begins to catch up with Company A. Over time, Company B becomes more profitable as IT spending decreases and more automation is developed. 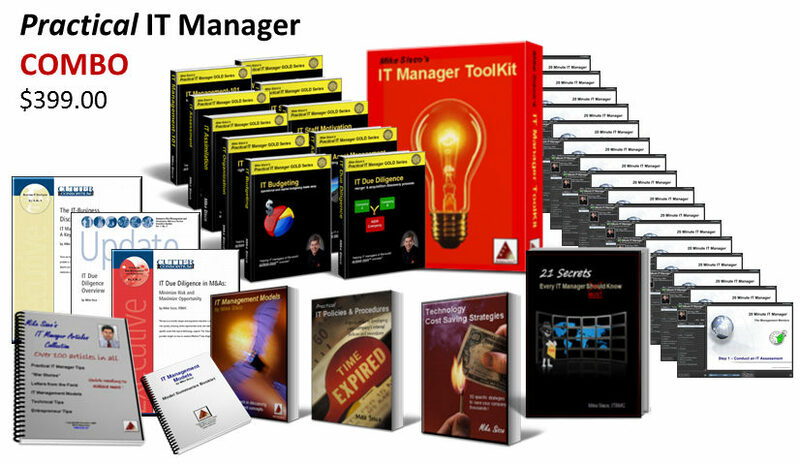 This entry was posted in IT Manager Tips and tagged industry trends, it expense as percentage of revenue, it management, it manager, key performance indicator, kpi. Bookmark the permalink.